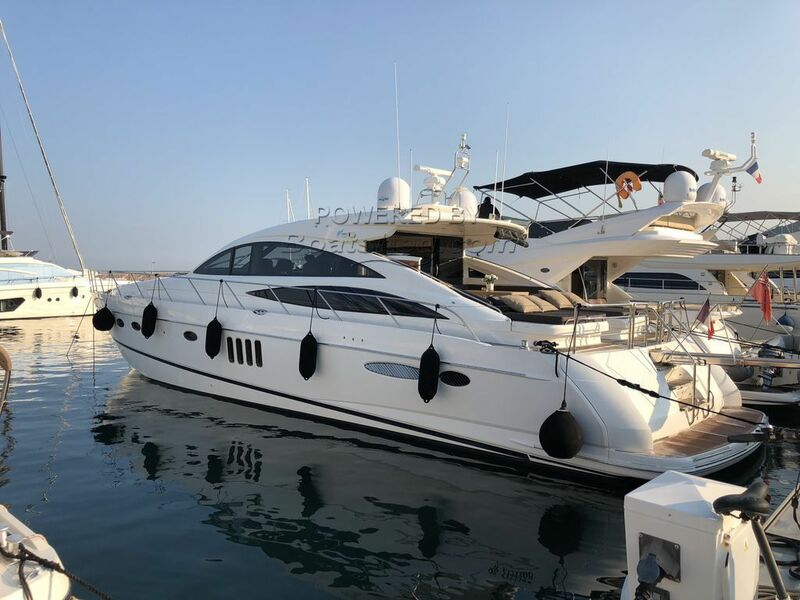 This superb Princess V70 is full equipped and has been extremely well maintained by her owner. She comes with a Williams Turbo Jet tender from 2015 and a Jet ski Spark from 2015. _ENGINE ROOM VIDEO, STERN VIDEO.. There is also a possibility of taking over a leasing, the VAT is recoverable. This Princess V70 has been personally photographed and viewed by Antoine Perrin Daragon of Boatshed Riviera. Click here for contact details.